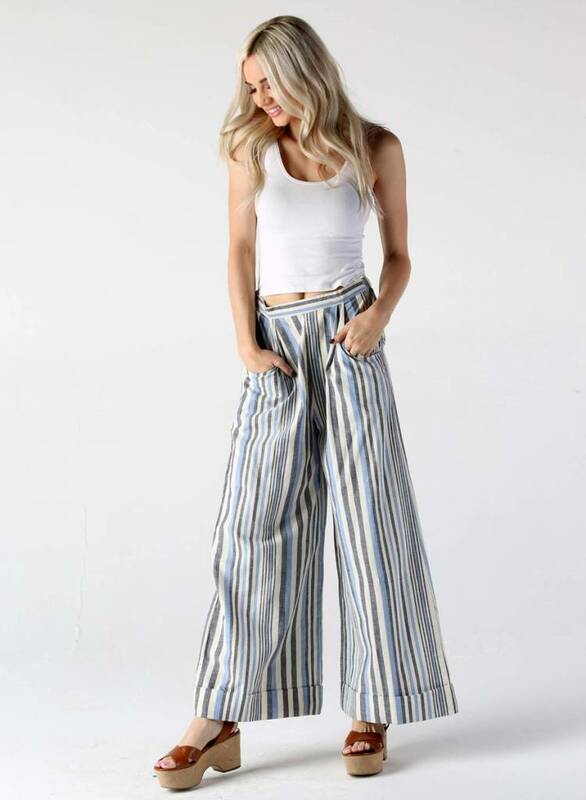 Sport a resort look in these Angie high rise wide leg pants cut in neutral striped rayon fabric. 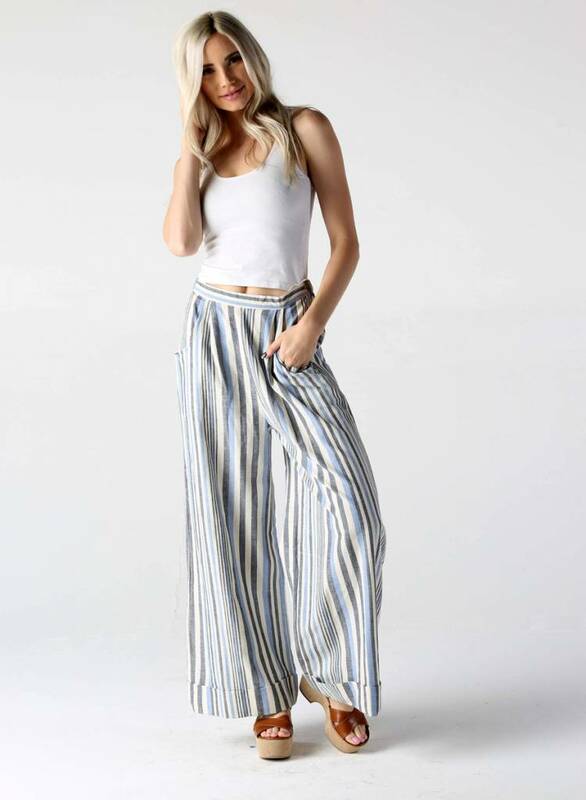 These easy breezy pants should be a staple in this summers wardrobe. 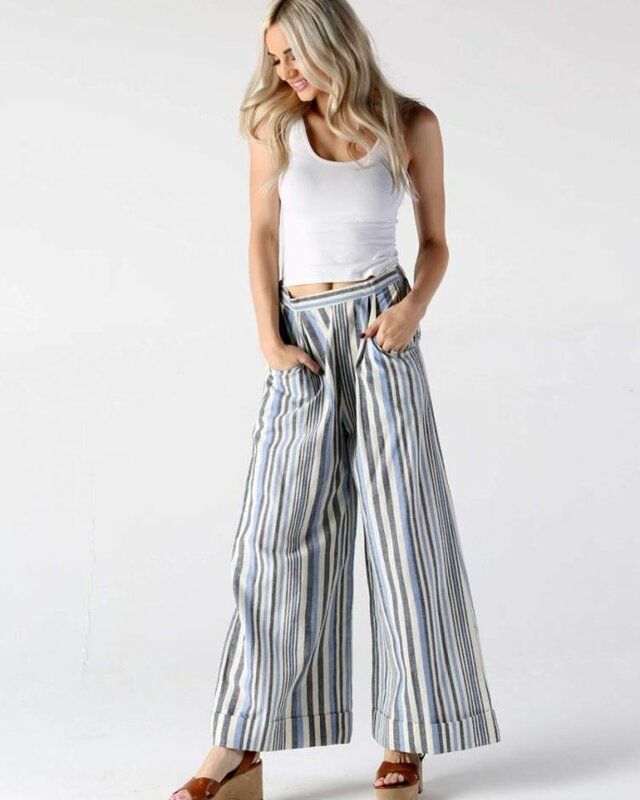 Features an elasticized waist band and side pockets. - Hand wash in cold. Drip dry.